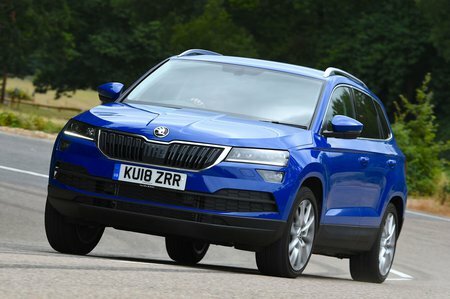 Skoda Karoq 1.5 TSI SE Technology 5dr DSG 2019 Review | What Car? This punchy petrol engine isn’t much thirstier than the 1.0-litre unit but feels more than strong enough to haul the Karoq around. Not only has it got plenty of power, it’s more refined than the diesels. That said, our True MPG fuel economy figure of 36.0mpg for a car fitted with an auto 'box was a little disappointing (and worse than a Seat Ateca 1.4 TSI 150 DSG). But unless you drive to the moon and back every year, this is still your best bet. Available as a manual or automatic.